Whether you want a classic tailored look or a more trendy, casual look, the iconic loafer can add just the right amount of style and elegance to any outfit. These stylish shoes should be a part of every man’s wardrobe, especially during the summer. Loafers can go with just about anything, looking sleek with a suit for the office or when heading out to a family brunch at the weekend. With the summer 2018 collection from GuidoMaggi you can combine style and comfort with the added advantage of the elevator system. These summer loafers can increase your height and boost your self esteem, all while keeping you up to date with the latest trends. 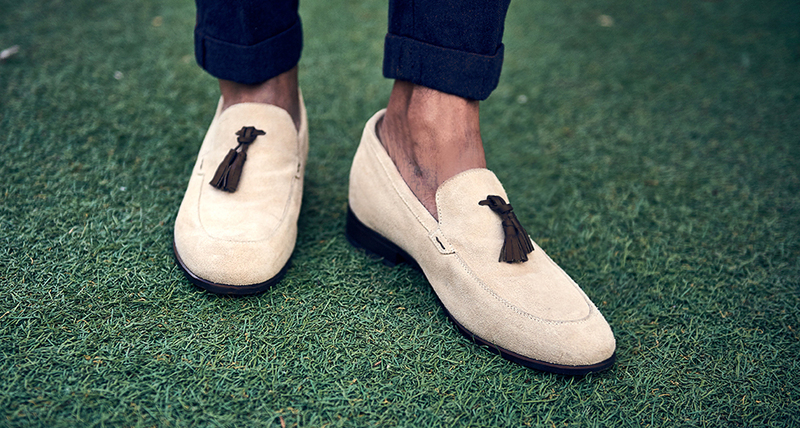 GuidoMaggi’s collection of luxury suede loafers are all handcrafted in Italy using the finest leathers. The Imperia is the ideal elevator shoe for the summer. This stylish elevator loafer is handcrafted in a beautiful burgundy suede calfskin leather and features Tuscan leather tassels. These comfortable shoes can increase your height by 2.6 inches and they are right on trend with one of the hottest colors of the season. For a classic look with a modern twist, the Sirte could be your go-to shoe for the summer. These sleek elevator shoes will add 2.6 inches to your height, giving you the confidence to step out in style all summer long. They feature hand stitching and an elegant silver tone buckle. These height increasing shoes are handcrafted using dark brown calfskin leather and a natural brown leather sole for maximum comfort. More formal occasions call for a more formal loafer and the Grenoble is perfect for any event this season. Whether it’s a summer wedding or a dinner party, these elevator shoes will help to add a touch of elegance to your outfit. Increasing your height by 2.6 inches, these stunning shoes feature a glossy black leather upper with a silver tone buckle detail; ideal for pairing with a suit. For a sleek style in one of this summer’s trendiest colors, the avignon elevator shoes will keep you up to date with the fashion crowd. These handcrafted penny loafers have been modernized by GuidoMaggi to include the invisible heel that will make you 2.6 inches taller, so not only do you elevate your style but you increase your height and boost your confidence. These burgundy leather loafers and handmade in Italy and will keep you looking cool and comfortable all summer long. So don’t let your summer pass you by without a pair of luxury elevator loafers in your wardrobe.